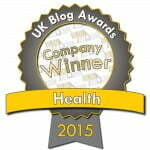 Earlier this month, Evidently Cochrane won the award for the best company health blog at the UK Blog Awards 2015. It was just brilliant to know that, from 48,000 public votes for 2000 blogs across 14 categories, enough were cast for our blog to get it onto the shortlist. 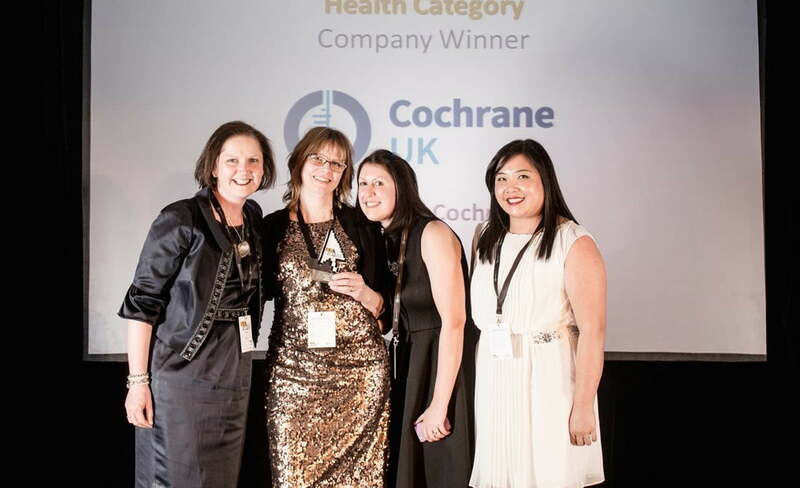 Then judges Kath Evans (Head of patient experience for maternity, newborn, children and young people, NHS England) and Dinh Tu (Social Media Consultant, Bupa UK) gave Evidently Cochrane the top spot. When the last of the champagne had been drunk and the inflatable flamingoes packed away (the awards night had an Alice in Wonderland theme! ), it was time to reflect on the fact that we seem to be doing something right, to think about what that might be, and to decide what we’ll do next to keep improving the way we share evidence. We’re two and a half years into our blogging journey and it’s one year since those web wizards at Minervation worked with us to create a new and better site for the blog. We’ve learned a lot about how to make the blog site attractive and user-friendly, but what is it that’s so great about blogs as a way to share evidence? It’s all about the reader! I quickly listed the things that sprang to mind and on looking at the list, what jumped out at me is that it’s all about the blog’s readers (can I call you blogees?). I love that! When we write papers for academic publications, the reader is somewhere in mind but can seem a remote and shadowy figure, with the requirements of the publisher and the conventions of that type of writing pushing them further into the distance. Not so with a blog, wonderful and liberating medium that it is! So here’s my list. This is a huge advantage and not least when it comes to evidence from Cochrane reviews, which often run to over a hundred pages. Of course, for those wanting to know more, our blogs always give a link to the full publication and often to the relevant Cochrane summary. We had a plastic surgeon working with us recently and she told me that theatre staff would read blogs during quiet moments in theatre; I think I will be keeping my blogs on surgical evidence very short in future! Blogs can be made even quicker, and suited to those who like their information to be largely visual, by departing from blogs in the form of a short article to embrace the possibilities of infographics, prezis, Vine, YouTube videos and more. 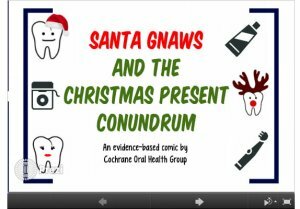 We’ve included all of these on Evidently Cochrane, from Lego animations to pantomime, with our Evidently Advent bonanza of daily posts being a great time to try something a bit different. This can be a good way to bring in a new audience and not just those who are unfamiliar with the world of evidence-based healthcare; several Very Important Professionals have told me they first came to the blog through Evidently Advent. ‘Know your audience’ is a cornerstone of effective social media use, and indeed of communication more generally, and this caused a great deal of head scratching when we started Evidently Cochrane. So much health evidence is potentially useful to a wide range of users, including people making decisions about their own health, health professionals and those concerned with policy or funding, didn’t we need to write for everyone? We quickly learnt that individual blogs work best if written with one main sector of our audience in mind. The majority of our blogs are written for people making choices about their own health, but we’ve got plenty for nurses and other health professionals too and of course we hope they are all read by a variety of blogees. Before the statisticians revolt, I know P values mean something, maybe even something useful! But most people don’t know what they mean. Someone, and something, needs to be the bridge between the person with the specialist knowledge and the person for whom the evidence could be relevant. Cue a user-friendly blog! Blogs give us the wonderful opportunity not just to translate evidence into short, accessible summaries, but to set it in a ‘real world’ context, with expertise and experience shared by people for whom it is relevant. This is the thing that has excited me most, so far, about these blogs. Professionals giving an opinion about the potential importance of new evidence, or highlighting areas where we need something more or different, and people generously sharing their experiences of managing a health condition and how the evidence squares with their needs and choices, make the evidence relatable and I hope may help people think about how it might apply in their own situation. It also helps highlight where the evidence falls short and where there are important gaps that future research might fill. No lengthy production and publication process here! We often publish blogs about evidence that’s brand new, or ties in with a health awareness event, or something that’s topical, tying in with the season perhaps, or a news story. We can be responsive to things that come up and share evidence that may be useful or of particular interest NOW. 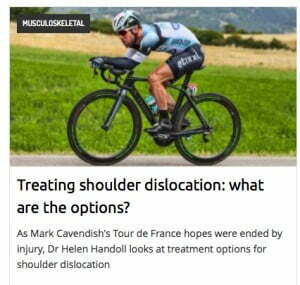 When Mark Cavendish fell off his bike in last year’s Tour de France, almost before you could say ‘anterior shoulder dislocation’ the head honcho at Cochrane’s Bone, Joint and Muscle Trauma Group, Dr Helen Handoll, had sent me a blog explaining the best evidence on treatment choices for this type of injury. I don’t know if his doctors read it (a quick read in theatre?! ), but a lot of you did! I’m slightly hesitant to use that word as it seems to be a buzz word in more techy circles, but in its traditional association with lightness and being quick to move I think it fits well. The tone can be light and friendly, because blogs are personal, even when they are written on behalf of an organisation. The ‘social’ in social media is an important element of its successful use. They’re also quick, not just to read but to share across different platforms. For us, the key landing platform for the blog is Twitter, which is where almost all conversation about the blogs take place. Social media enables and invites dialogue and engagement, another reason why it’s important to get evidence out of its more formal settings and share it in this way. I see it as a brilliant bridge to join producers of evidence with potential users of it. Thinking of conversation, I hope you’ll join in with this one, either here on here or on Twitter @SarahChapman30. Do you agree with this list? I don’t suppose it’s exhaustive so what would you add? 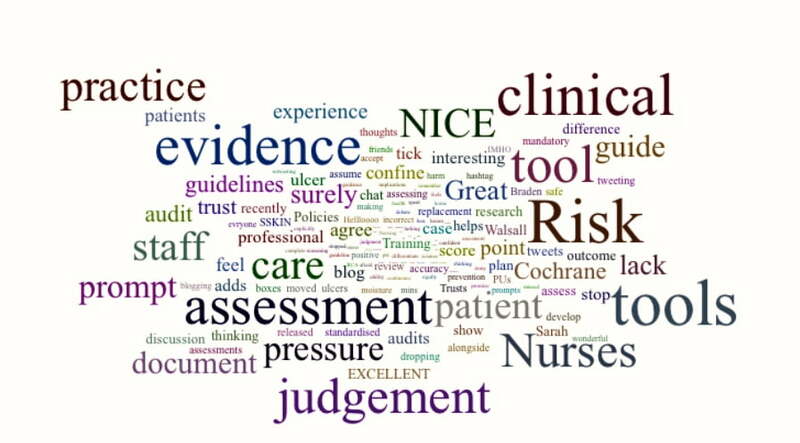 A few people are starting to experiment with this thing, which that pioneering woman, WeNurses founder Teresa Chinn (@AgencyNurse) has now named a blogshot. It’s a very short blog, viewed on your Twitter timeline as a screenshot of a blog – a blogshot! We’re playing around with the format to find what might work best for us, but will soon be adding this to our regular offerings of weekly blogs here and daily tweets @ukcochranecentr so watch this space! 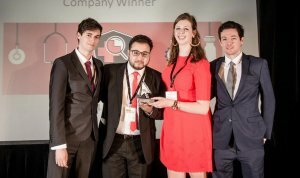 We were delighted that our partners Students 4 Best Evidence also got an award at the UK Blog Awards, winning the Education category with their blog. 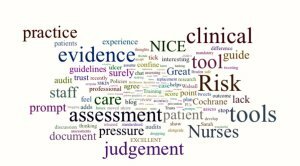 The blog is also based at Cochrane UK but mostly written by and for students who are interested in evidence-based healthcare. Do take a look! Many congratulations to everyone at Cochrane involved in and supporting your blogs. 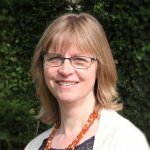 You’re doing a fab job in making Cochrane evidence more accessible. While your full reviews are really useful for people who need to know all the details, blogs can be a great way to spread the message in a much more user-friendly way. I’m delighted Evidently Cochrane to win this award – it’s well deserved! I think you’ve hit all the good points there, and blogs are so much easier to read. I think one of the most important points you mention is the accessibility, meaning not only can more people be made aware of the data, but understand it too. Top work, please keep it up. I blog quite often and I really thank you for your content. Your article has truly peaked my interest. I’m going to book mark your website and keep checking for new details about once per week. I opted in for your RSS feed as well. This is a really good tip particularly to those new to the blogosphere. Brief but very accurate info… Thanks for sharing this one. A must read post!